Photo of: West of Ireland: Clare: Burren. Limestone pavements at the Poulnabrone Dolmen in County Clare. As the ice-cap moved into the Burren the glacier scoured the rock clean leaving the smooth pavements that can now be seen. 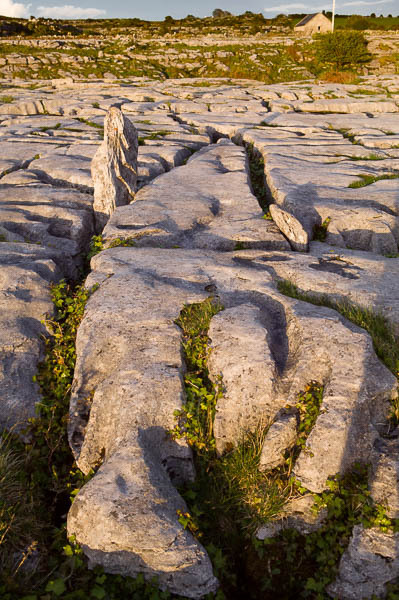 The pavements are made up of clints, which are the blocks of limestone that constitute the paving, and grykes, which are the fissures that isolate the individual clints. Grykes can stretch for hundreds of feet.